Designed To Move is the global physical activity movement activating and uniting the world in combat against the extremely dangerous epidemic of physical inactivity. This epidemic is rendering today’s 10 year olds as the first generation to have a life expectancy shorter than that of their parents. Data collected by the World Health Organisation indicates that no country has less than 70% of children who are inactive, and the world average is an astounding 84% of inactive kids. Over 5.3 million deaths each year are attributed to physical inactivity. This is more than from smoking. The economic impact of physical inactivity is crippling economies around the world, and the human impact and loss of potential is simply unacceptable. In 2013 TAFISA formally adopted Designed To Move as its primary physical activity platform, and is currently a leading global Designed To Move Champion. Designed To Move is founded on evidence and is open to all those wanting to take a stand against physical inactivity and bring movement back to the everyday lives of their people. To help TAFISA members and others around the world act on the Designed To Move agenda, TAFISA developed the TAFISA “How To ‘Designed To Move’ Toolbox – a five step program to becoming an active part of this global movement and creating their own local movements. The TAFISA How To Designed To Move Toolbox is a practical, useful resource we encourage all to take advantage of. 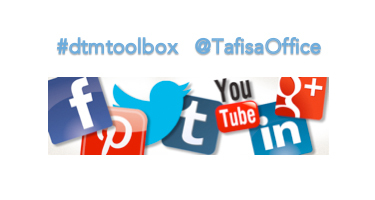 You can view the Toolbox via the following links, or contact the TAFISA office for a hard copy. For more information about Designed To Move, see www.designedtomove.org. Within the How To Designed To Move Toolbox, there are two key actions in focus. The first of these is to Be A Role Model – Align with DTM. 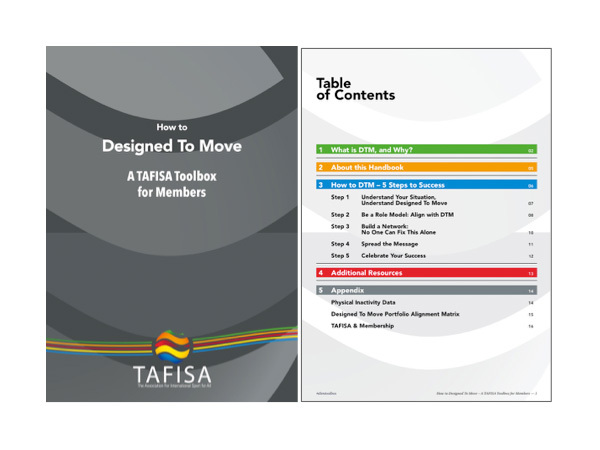 The TAFISA How To Designed To Move Toolbox will guide you through how to align your existing work with Designed To Move to become a part of this global movement. Remember, Designed To Move is not a new program, but a framework or platform with which to align your current activities, and spread the message about the importance of physical activity. 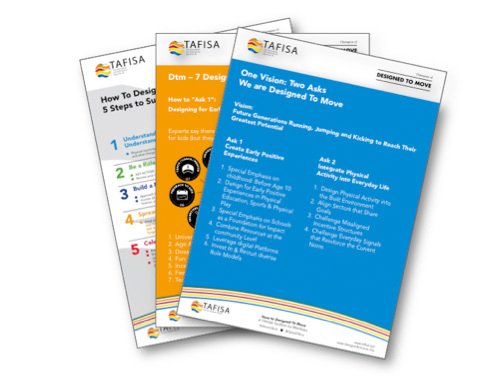 The TAFISA Toolbox will help you use Designed To Move to add value to your existing programs and events by aligning them with Designed To Move messaging and the 2 Asks. The second key action in focus within the TAFISA How To Designed To Move Toolbox is Celebrate Your Success - #dtmtoolbox. Don’t keep your successes to yourself. Share them with the world! TAFISA is encouraging members and others to celebrate their success by posting photos, stories and comments using #dtmtoolbox and @TafisaOffice, and sending photos and articles to info@tafisa.net to be posted within our global communications. opportunity to present their stories at the 25th TAFISA World Congress in Korea, 2017. Don’t miss this opportunity to showcase your good work! 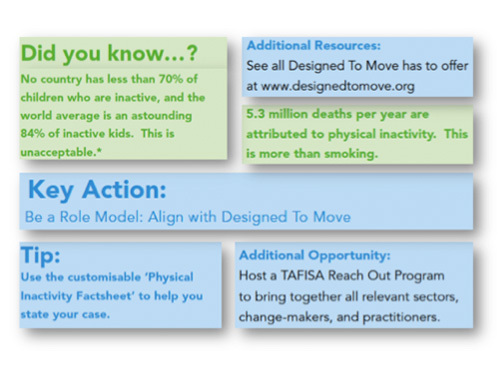 As well as the 5 Steps to Success, the TAFISA How To Designed To Move Toolbox includes physical inactivity data from around the world, and references to many additional resources. The Toolbox is user-friendly with many ‘tips, tricks and facts’ highlighted for easy reading in the margins, and currently includes 10 factsheets highlighting key Designed To Move information and providing short, sharp resources for you to refer to and share with others. We are keen to know what you think about Designed To Move, and the Toolbox. Please complete the feedback form found on page 10 of the Factsheets and return it to the TAFISA office at any time. Thank you!